Rolling in through the town of Marlinton on route 39, I was disheartened to see that the lovely little train depot that had burned in 2008, was in the same state. I was hoping to round the corner to find that it had been rebuilt. I suppose money for such things is probably scarce. 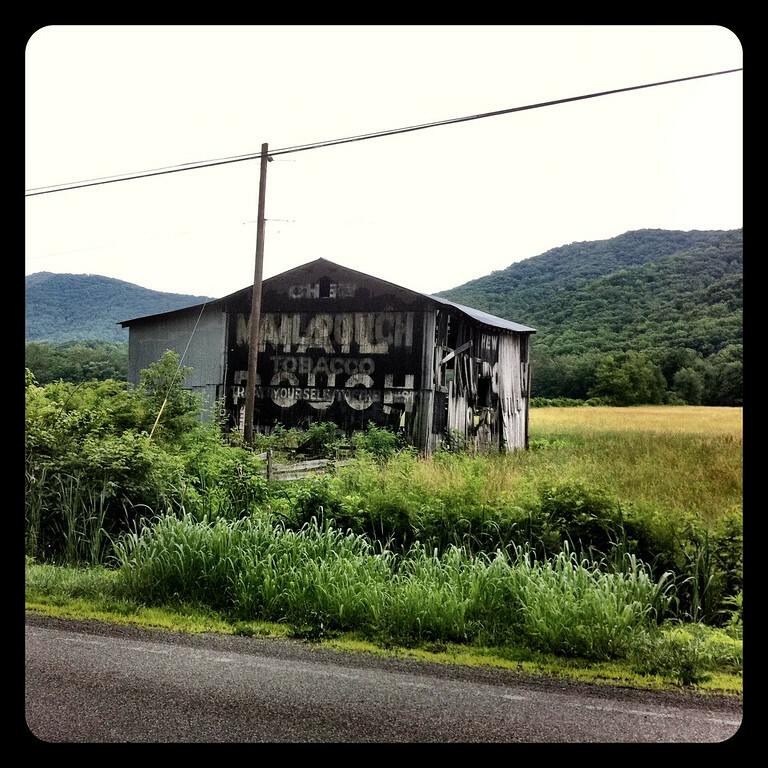 The town of Marlinton was empty on that Sunday morning. Certainly, that would be a good omen that that surrounding roads would also be free of much traffic. And it was so. We hardly saw another vehicle as we made our way up Route 219 and then on to 250. A girl could really get used to that kind of thing! 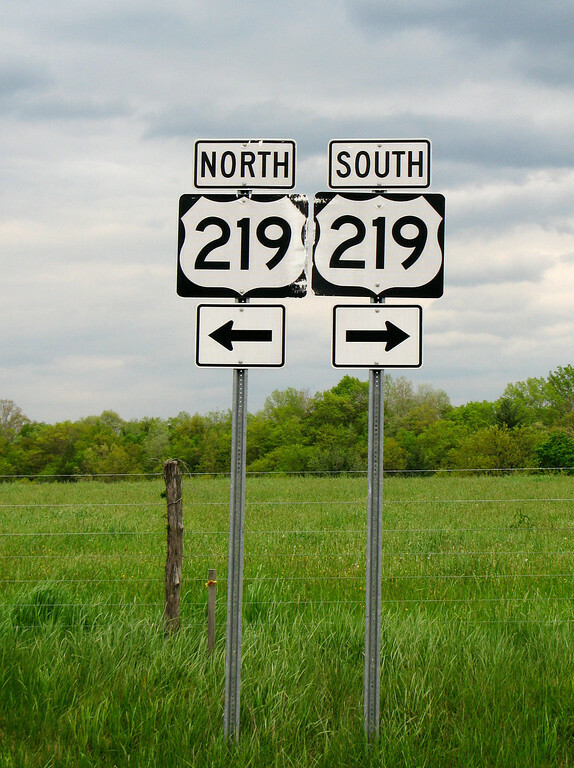 Route 219 is actually 535 miles in length. It runs in the south from Peterstown, Wv all the way up to West Seneca, Ny near Buffalo. Our stint on the road was only to be a drop in the bucket of it’s length. But what a great drop it was. 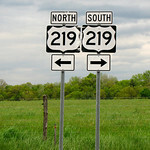 219 is a beautiful, fast paced sweeping road in this section flanked by beautiful greenery on all sides. 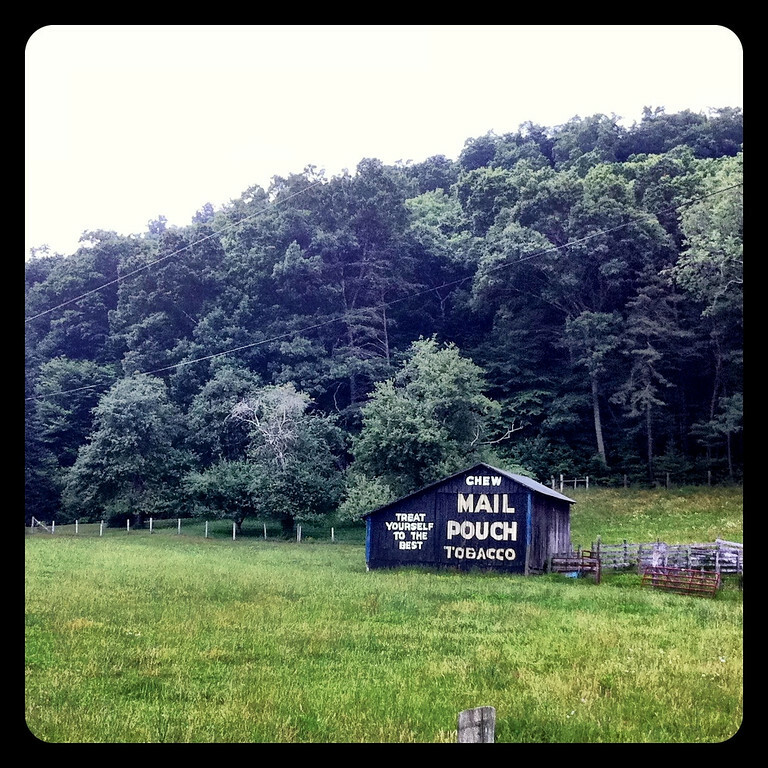 We motored 60 miles from Marltinton to Huttonsville, where we picked up Route 250 east to ladder back across West Virginia. Along the way I was able to snap two more photos of the beautiful Mail Pouch Tobacco barns that I just love to pieces. We also stopped in to have a look around Sharp’s Country Store in Slatyfork. You could spend a half hour in there poking around, but the road was calling our name. I bought a postcard and we were once again on our way. 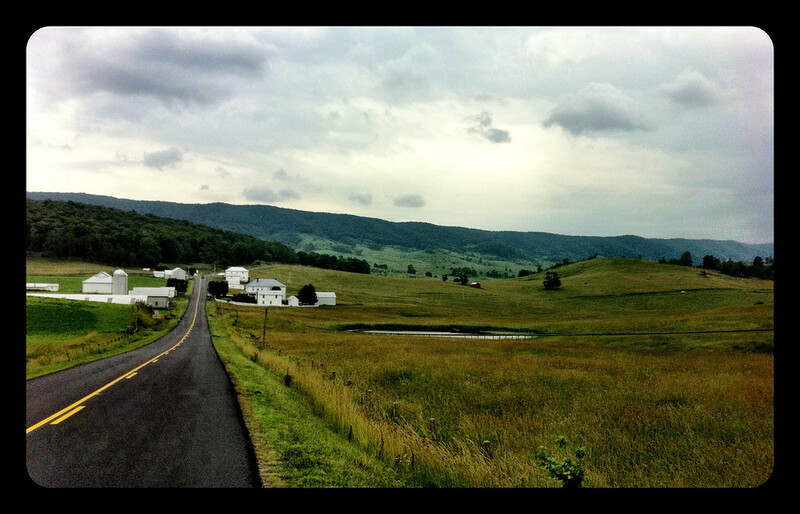 There were sections of Route 250 that were just freshly paved. That made for a little extra joy as we hit some of the undulating switchbacks that climb the mountain sections. Our plan for the day had been to float around West Virginia and then make our way to around the Pennsylvania border. That would mean that our final leg home the following day could be an enjoyable ride instead of a well-timed slab ride trying to avoid the traffic nightmare that is getting to the east of NYC. Doing battle at the river crossings can be a nightmare. Under gray skies, we began our ascent to north of the Mason Dixon line and grabbed rooms in Chambersburg, Pa. We arrived under the canopy of the hotel just as the first few spits of rain started to come down. Our day fittingly ended under the arch of a beautiful rainbow. 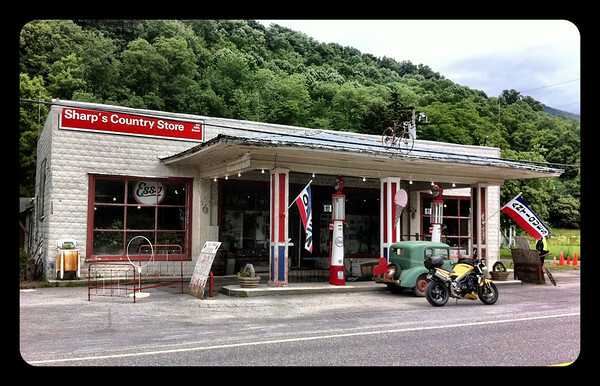 Wow, an old gas station turned country store, love those old gas pumps. Nice pictures.